You Choose The Winner Of The Lucas Electrics Photoshop Contest! We got quite a few entries for the Prince Of Darkness Advertisement Photoshop Contest last week, and now you get to decide who wins the fabulous prize. Jump away to see the finalists! Photoshop Up The Best Lucas Electrics Ad Remix, Win A Fabulous Prize! 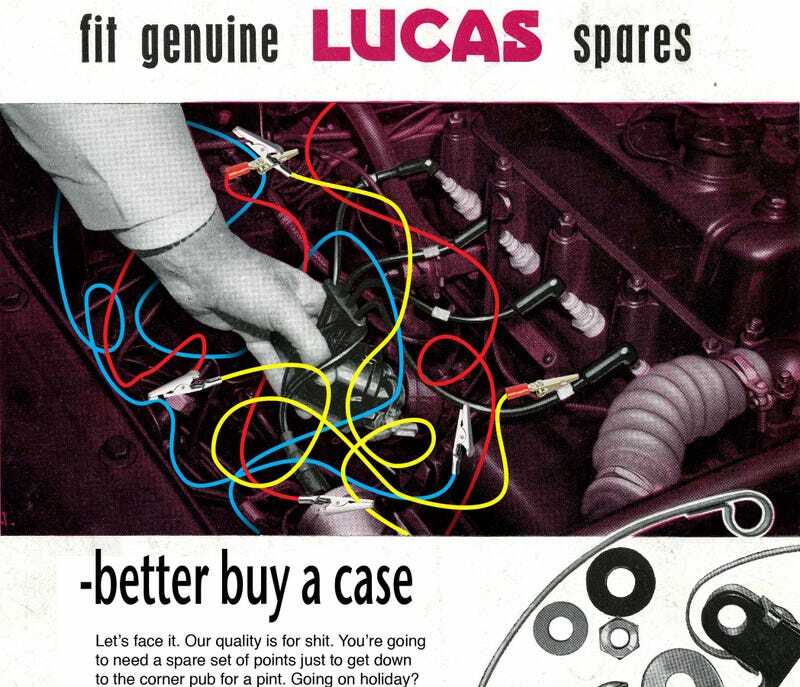 We provided four early-50s-vintage Lucas Electrics ads, and contestants could modify one or more of them. We got some bonus remixed ads that weren't among the four; they don't count for winning the prize, but we'll include them in the gallery for your enjoyment. Now, here are the finalists. Vote early and often! 8. I'm Filing For Divorce, by Stuntdriver.